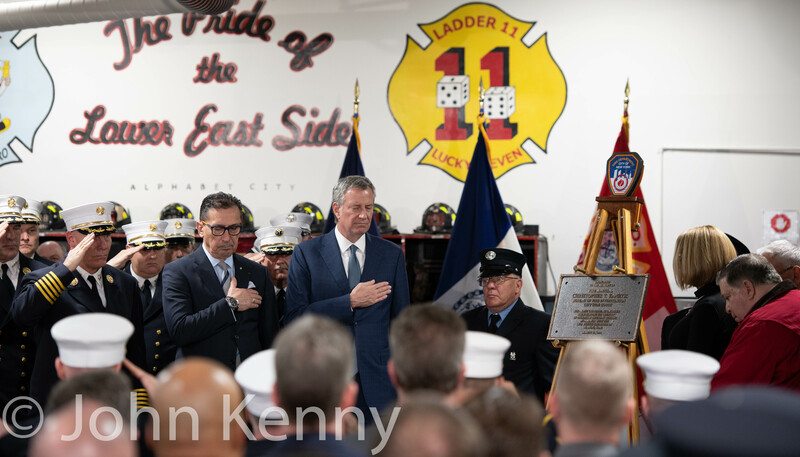 The New York City Fire Department marked the first anniversary of the March 15, 2018, death of Fire Marshal Christopher “Tripp” Zanetis with the traditional dedication of a plaque at Zanetis’s old firehouse, Engine 28/Ladder 11 on East 2nd Street in Manhattan. The Rev. 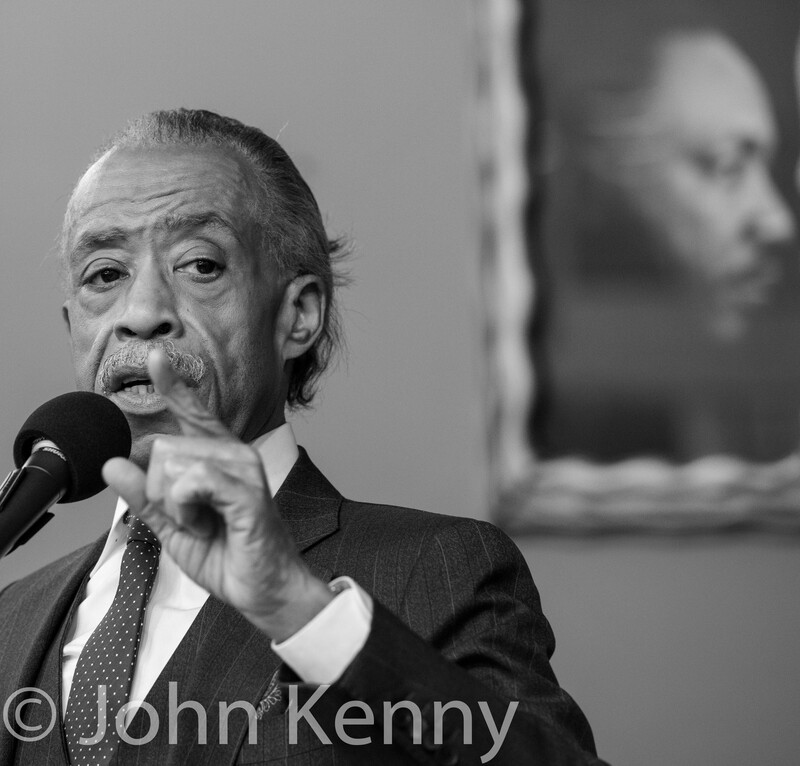 Al Sharpton drew a large contingent of elected officials to his annual Martin Luther King Jr. Day celebration at National Action Network’s House of Justice. 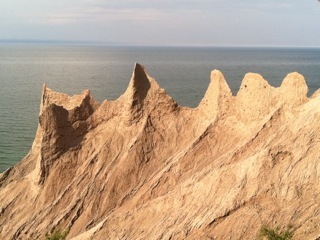 Headliners included U.S. Senators Chuck Schumer and Kirsten Gillibrand, Mayor Bill de Blasio and U.S. Reps. Jerry Nadler, Hakeem Jeffries, Yvette Clarke and Carolyn Maloney. NYC Comptroller Scott Stringer, Council Speaker and Acting Public Advocate Corey Johnson, NYS Assembly Speaker Carl Heastie and NYS Senate Temporary President and Majority Leader Andrea Stewart-Cousins also spoke. 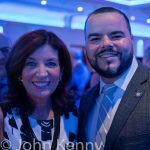 Several of the public advocate candidates participated, including Assembly Members Latrice Walker, Michael Blake and Danny O’Donnell, Council Members Jumaane Williams and Rafael Espinal, former Council speaker Melissa Mark-Viverito and Dawn Smalls. Walker, Blake, O’Donnell and Smalls were given speaking slots. 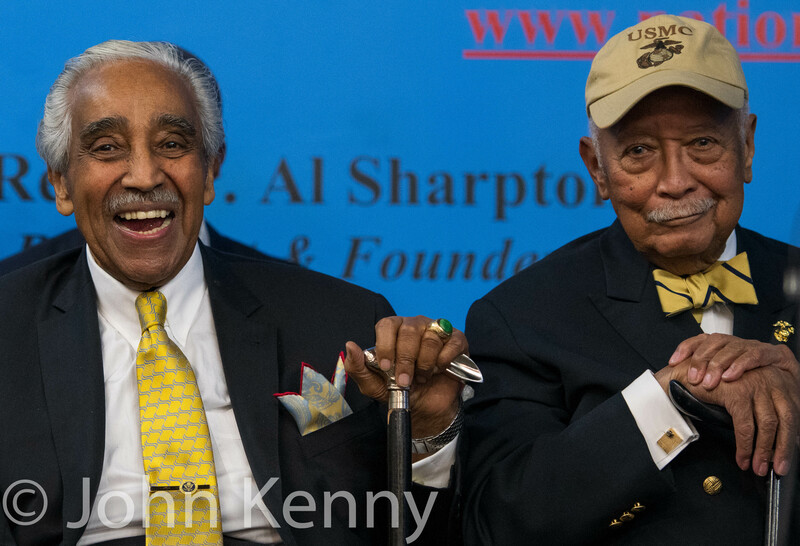 Former mayor David Dinkins and former congressman Charles Rangel appeared, sitting onstage in the front row for the full program. Hear ye, Hear ye …. 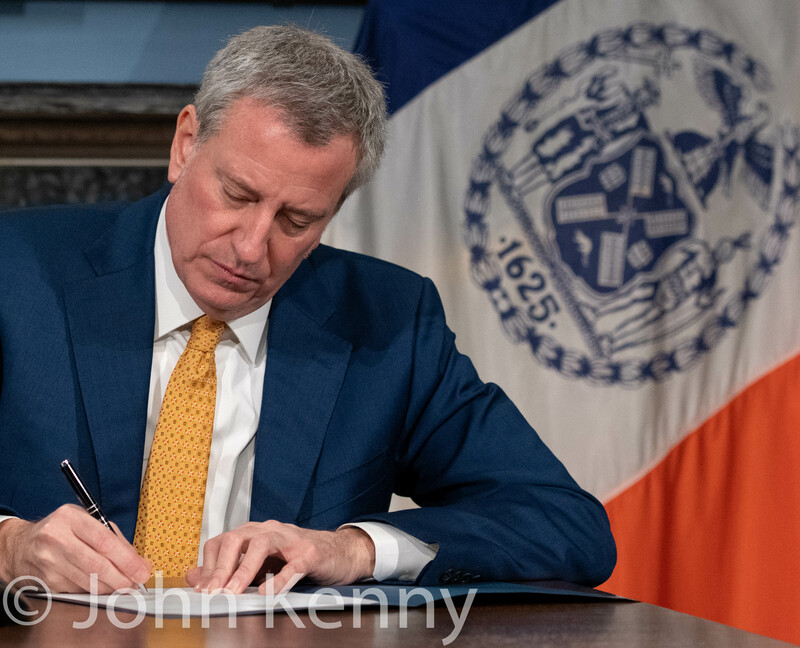 Mayor Bill de Blasio signed a proclamation today setting February 26th as the date for the special election for public advocate. de Blasio held a brief signing ceremony at City Hall for the special election proclamation and Intro. 1288, which amended parts of the campaign finance law. Former public advocate Letitia James resigned on December 31st to take office as the New York State Attorney General on January 1st. The City Charter provides that upon James’ resignation the mayor is to, within three days, set the date for a special election in a narrowly prescribed window. With the proclamation issued prospective candidates now have until January 14th to submit petitions. New terms, lots of candidates, fiercely fought elections, victories and defeats both surprising and not. Lots happened in 2018 New York politics and we’ve distilled the year into our 2018 Year in Photos. Our full 2018 Year in Photos gallery is available here. 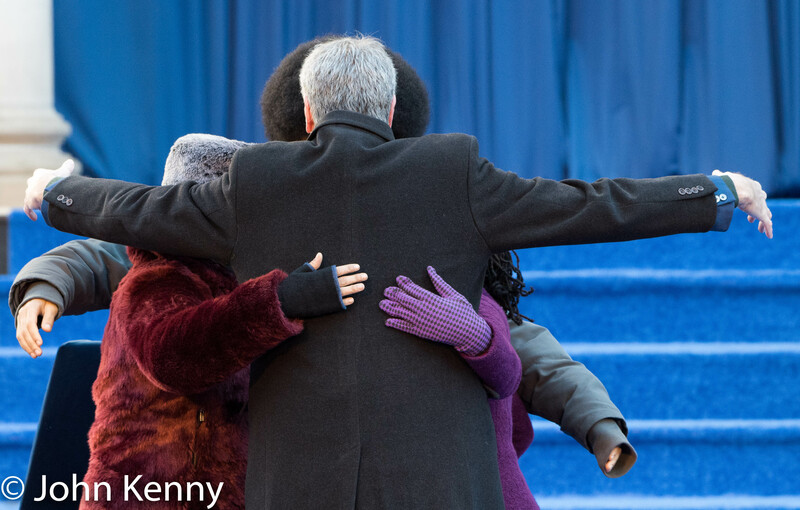 Mayor Bill de Blasio joined mourners in Rockaway for the 17th anniversary of the crash of American Airlines flight #587. The crash killed all 260 people on board and five people on the ground. The flight was headed from JFK to the Dominican Republic and the deceased include many Dominicans and Dominican Americans. 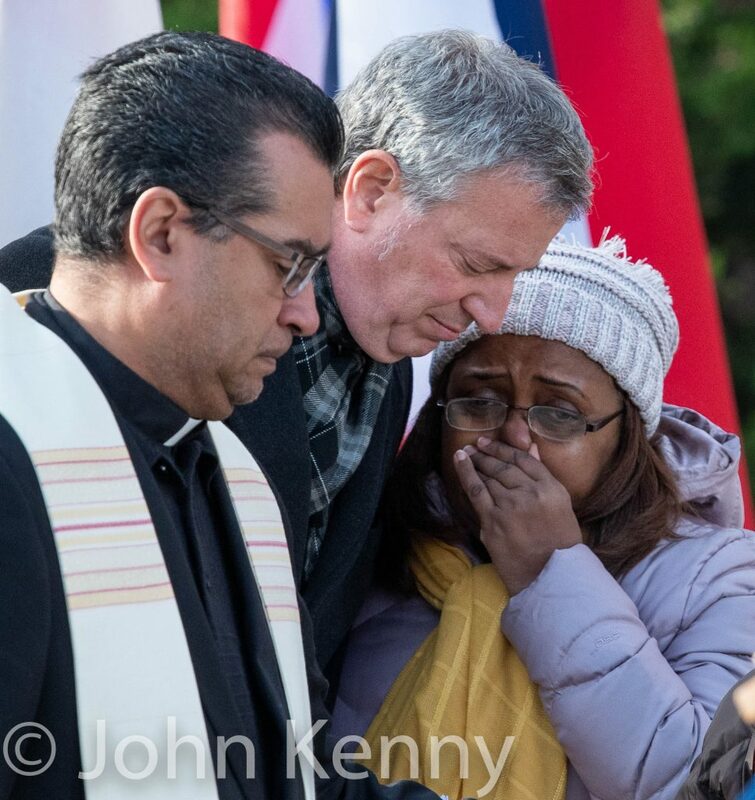 Mayor de Blasio was late to the ceremony in 2014, drawing heated criticism for missing the bell tolling the exact moment of the crash. This year, as in each year since 2014, he arrived early and greeted mourners ahead of the ceremony. de Blasio, who did not take press questions, was the only elected official to attend. Mayor Bill de Blasio made a supportive visit to the Park East Synagogue a few hours after the Tree of Life synagogue massacre in Pittsburgh. Joining Rabbi Arthur Schneier for remarks in front of the synagogue, de Blasio offered both emotional support and promises of strong police protection. 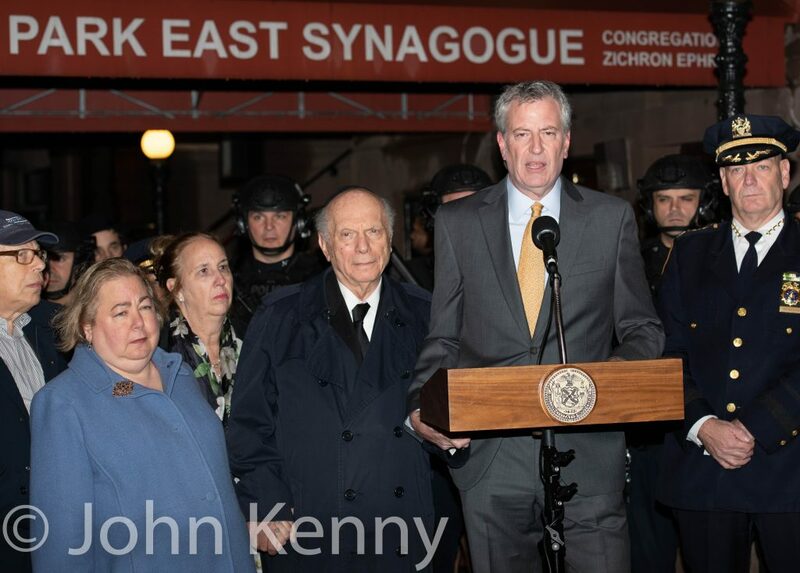 Mayor de Blasio and Rabbi Schneier were joined by Rep. Carolyn Maloney, NYS Senator Liz Kruger, Manhattan Borough President Gale Brewer and NYPD Chief of Department Terence Monahan. Mayor de Blasio did not take press questions. 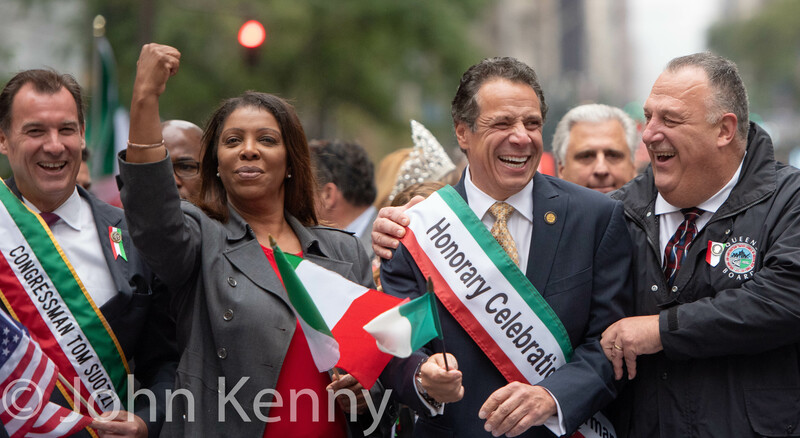 The Columbus Day Parade drew a large contingent of elected officials and candidates to Manhattan’s Fifth Avenue Monday for the annual celebration of Italian heritage. Headlining the group was Governor Andrew Cuomo, with his Republican opponent Marc Molinaro and frequent nemesis Mayor Bill de Blasio among the attending politicians. 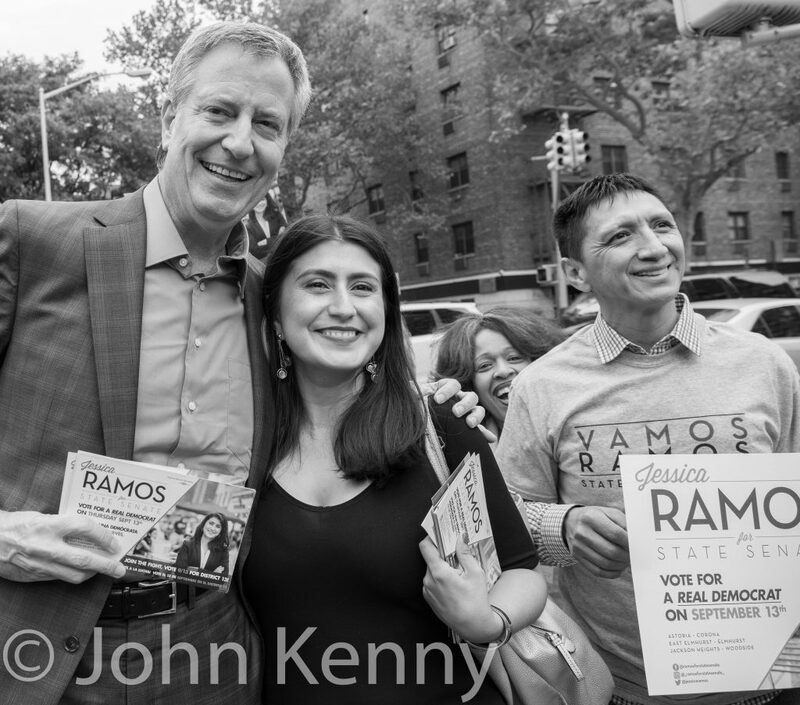 Governor Andrew Cuomo marked his primary victory over Cynthia Nixon and the start of the general election campaign with a Midtown rally featuring a large group of Democratic elected officials and candidates. 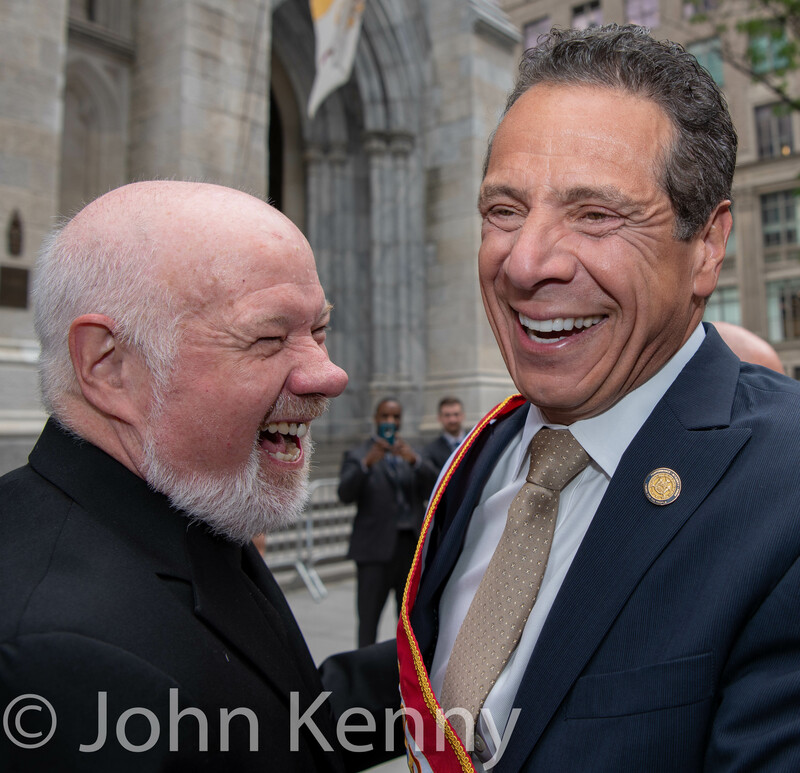 Headlined by Cuomo and running mate Kathy Hochul, attendees included New York City’s three citywide elected officials, Mayor Bill de Blasio, Public Advocate and attorney general candidate Tish James and Comptroller Scott Stringer, as well as Council Speaker Corey Johnson. House members attending included Jerry Nadler, Carolyn Maloney, Hakeem Jeffries, Joe Crowley, Jose Serrano, Gregory Meeks, Grace Meng, Yvette Clarke, Adriano Espaillat and Tom Suozzi. 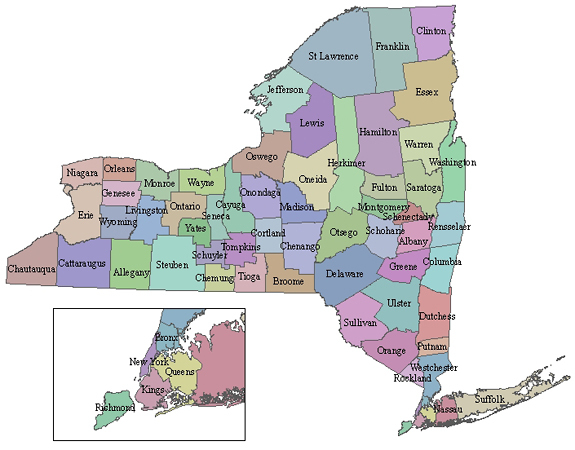 Some of the successful challengers to state senate IDC members attended, including Alessandra Biaggi who defeated IDC leader Jeff Klein and Robert Jackson. Notable candidates not spotted included Alexandria Ocasio-Cortez, who defeated Rep. Joe Crowley in the June primary, and incumbent NYS Comptroller Tom DiNapoli. 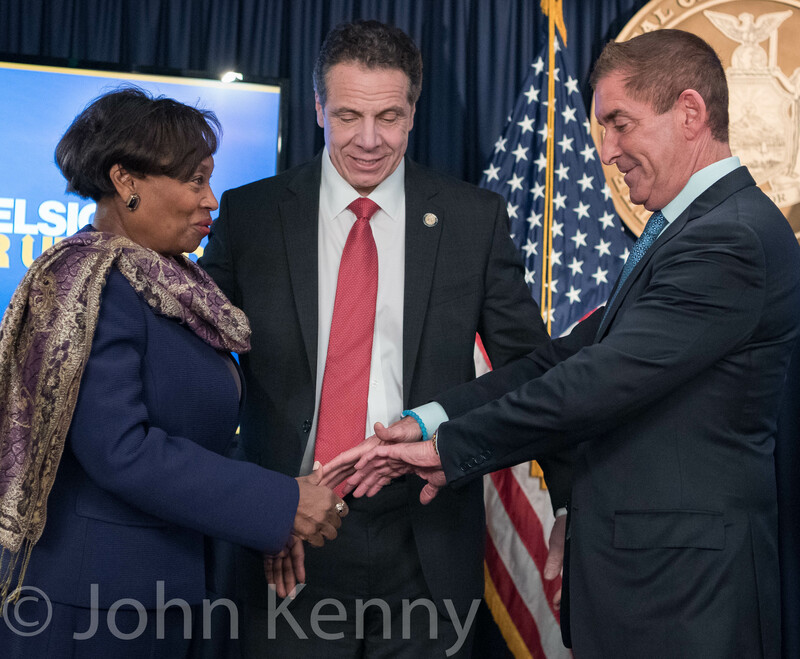 Additionally, Cuomo’s and Hochul’s primary challengers Cynthia Nixon and Jumaane Williams did not attend. Mayor Bill de Blasio moved to increase public awareness of the coming L train shutdown and of the City’s current plans for ameliorating the significant transit disruptions expected from the shutdown. With the shutdown scheduled to begin in April and last 15 months as major repairs are made to the East River tunnel for the L, the Mayor headed to Brooklyn Tuesday to move forward in preparing for it. 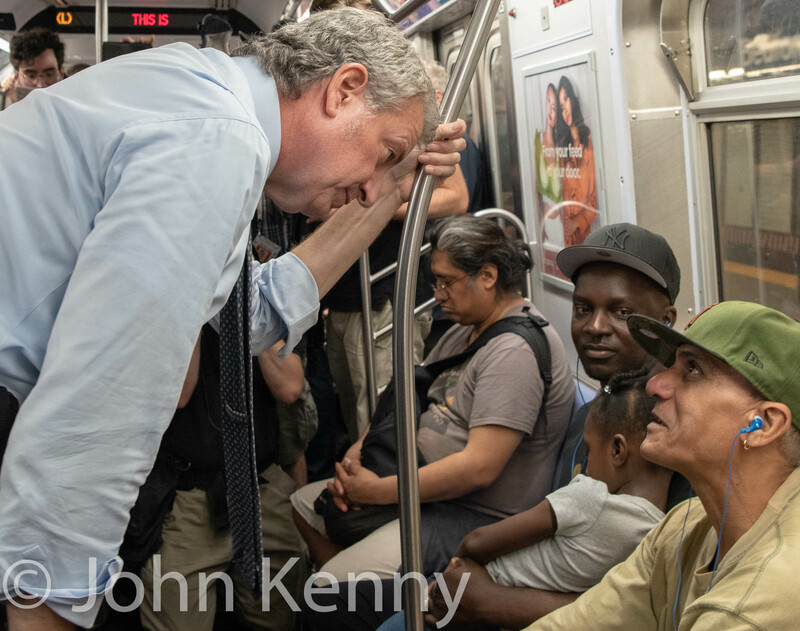 Mayor de Blasio began his outing by riding the L train from Union Square to the site of his press conference, at the corner of Grand Street and Bushwick Avenue in Williamsburg. 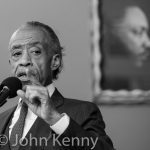 He then held a press conference with Transportation Commissioner Polly Trottenberg and Council Members Rafael Espinal, Antonio Reynoso, Stephen Levin and Ydanis Rodriguez. 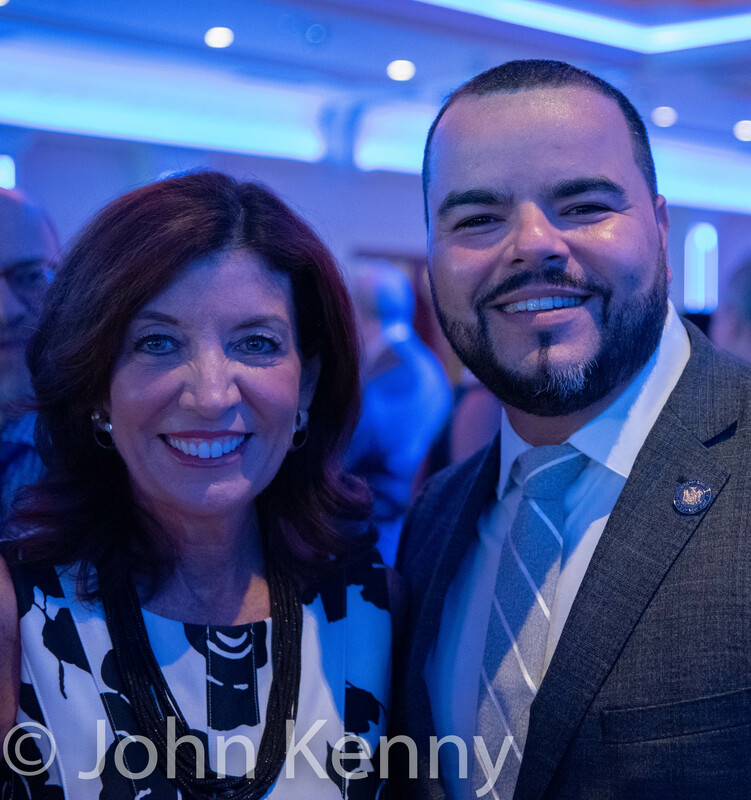 The Bronx County Democrats drew a large field of elected officials and candidates to their annual dinner Wednesday, though Governor Andrew Cuomo and several notable candidates did not attend. Statewide and citywide electeds present included Lt. Governor Kathy Hochul, NYS Comptroller Tom DiNapoli, NYS Assembly Speaker Carl Heastie, Mayor Bill de Blasio, Public Advocate Letitia James and Comptroller Scott Stringer. Hochul and DiNapoli, along with Cuomo, are running for reelection and James, reelected in November as public advocate, is running for attorney general. 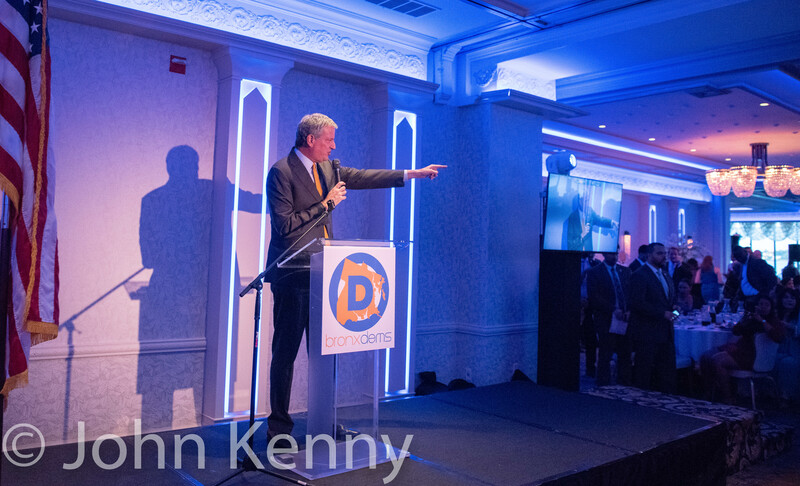 Notable non-attendees included Cynthia Nixon and Jumaane Williams, Democrats running for governor and lieutenant governor, and Congressional candidate Alexandria Ocasio-Cortez. 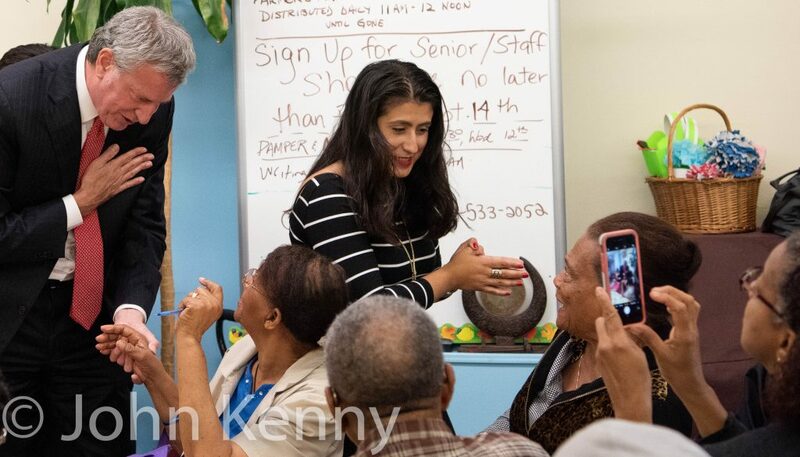 Ocasio-Cortez defeated Rep. Joe Crowley in the June 26th primary for the 14th Congressional District, which is roughly 1/3 in the Bronx and 2/3 in Queens. James was the only one of four Democratic candidates for attorney general attending, with Zephyr Teachout, Rep. Sean Patrick Maloney and Leecia Eve not spotted. State senate candidate Alessandra Biaggi, challenging Jeff Klein also (as far as I could determine) did not attend. 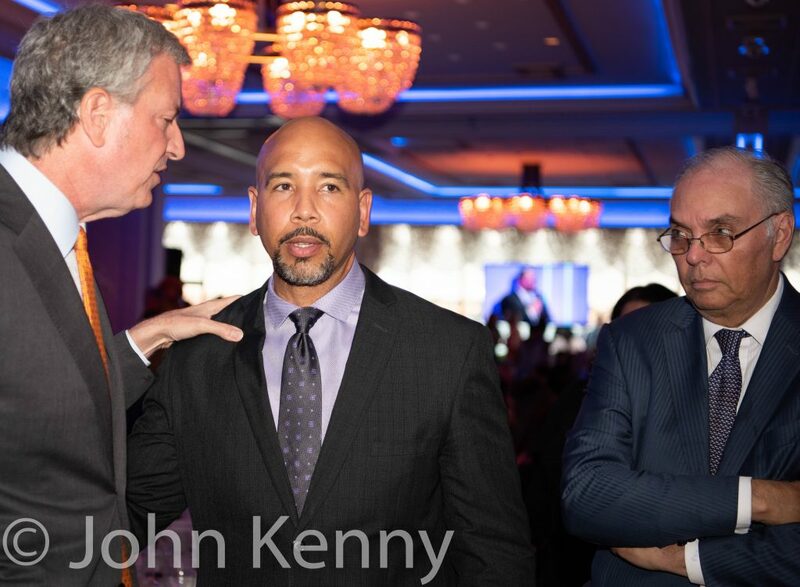 Other electeds attending included Bronx Borough President Ruben Diaz Jr., Bronx Democratic Chairman and Assembly Member Marcos Crespo, NYS Senate Democratic leader Andrea Stewart-Cousins, NYS State Senators Jeff Klein and Jamaal Bailey, Queens Borough President Melinda Katz and Council Members Andrew Cohen, Fernando Cabrera, Andy King, Karen Koslowitz, Daniel Dromm and Francisco Moya.